Bloodsport screenwriter Sheldon Lettich chats about his action movie classics. Best known as the writer of Bloodsport, he’s collaborated with Jean-Claude Van Damme on a raft of stone-cold classics starring the Muscles from Brussels. 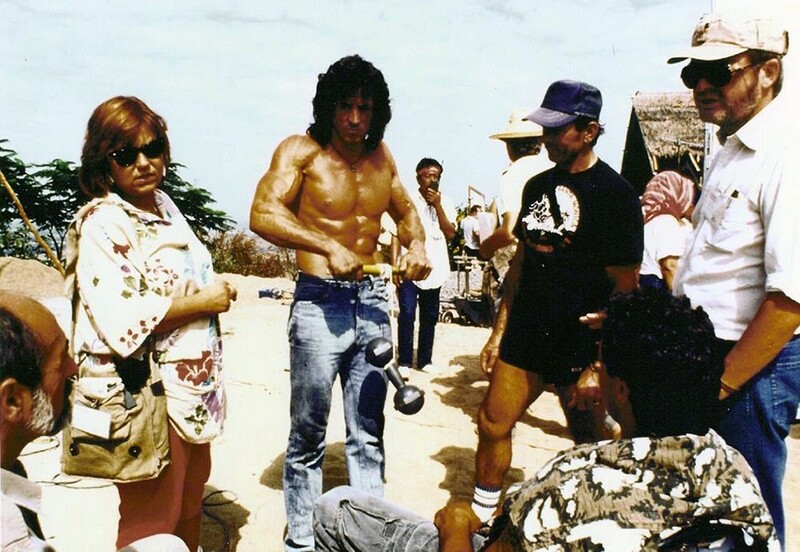 Those Van Damme credits include Lionheart (AWOL), Double Impact and Legionnaire, while Sheldon Lettich has also worked with Sylvester Stallone on the script to Rambo III. Not only did Lettich help the Belgian reach the big time in the Hollywood, but he also gave a relatively unknown Mark Dacascos one of his first starring roles. It’s a pretty impressive track record and one that makes Lettich someone well worth speaking to on the subjects of Bloodsport, Stallone and Van Damme, among other things. 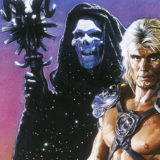 UAMC: Was screenwriting something you always wanted to do? Sheldon: I was initially interested in becoming a Director of Photography. I studied Photography in college, and then went on to work as a professional photographer for 11 years. 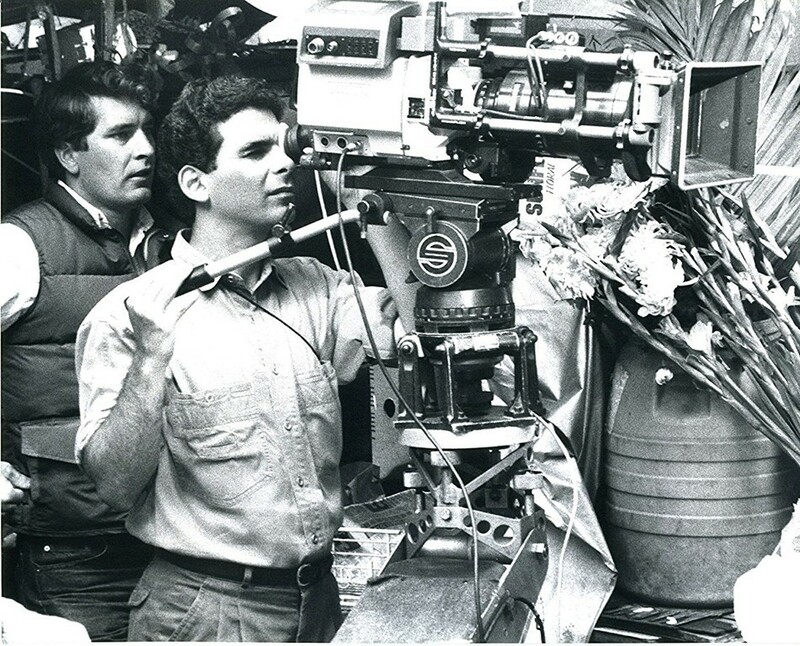 At the American Film Institute, I was a “Cinematography Fellow,” not really focusing on writing or directing. But that’s where the writing and directing bug bit me. UAMC: How much of your work has been influenced by your experience in the military? Sheldon: Quite a lot. The short 16mm film that got me my first directing deals – titled “Firefight” – was based partially on my military experiences in Vietnam. My Vietnam screenplay “Firebase” is what convinced Sylvester Stallone to hire me to co-write “Rambo 3” with him. My military and Vietnam experiences became the springboard that helped launch my career. UAMC: Where did the idea for Bloodsport come from and what role did Frank Dux have in it? Sheldon: Frank had been spinning all these wild tales to me back when I first met him, in the early 1980’s. UAMC: Do you think there is any chance Frank Dux’s stories about the Kumite are true? Sheldon: Dux convinced John Stewart, the editor of Black Belt Magazine, that the story had some veracity, which led to an article being published about Dux and the Kumite. The fact that the editor of a respected martial arts magazine was vouching for Dux validated the story for me, and for a lot of other people as well. This was back in the early 1980’s, before the Internet. There was no easy way to fact-check the claims that Dux was making. UAMC: What was it like when you met Jean-Claude Van Damme for the first time? UAMC: How important a role did Van Damme play in the success of Bloodsport? 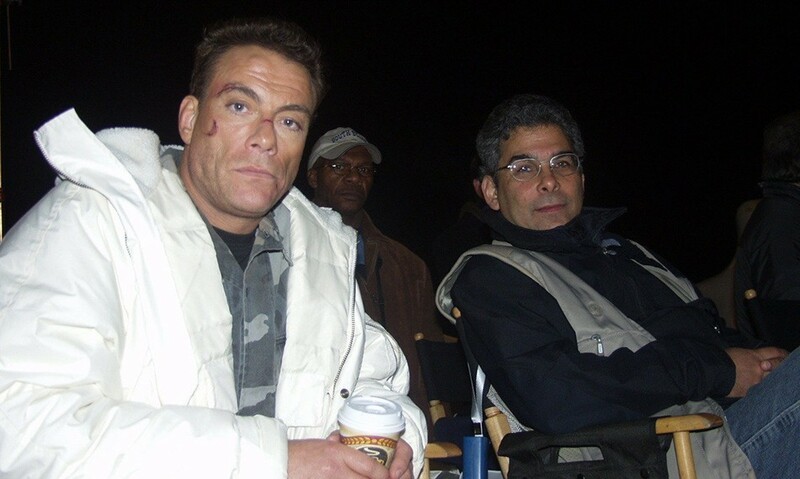 Sheldon: I think a good portion of what made that movie work so well was the fact that JCVD played the lead role with such charm and conviction. The fights were good and well-choreographed; they did not feel like the same fight repeating over and over. The various fighters had unique personas, and they were so very different from one another, both in fighting style and personality. But I believe the catchy title and the unique structure of the story had much to do with the movie’s initial success. 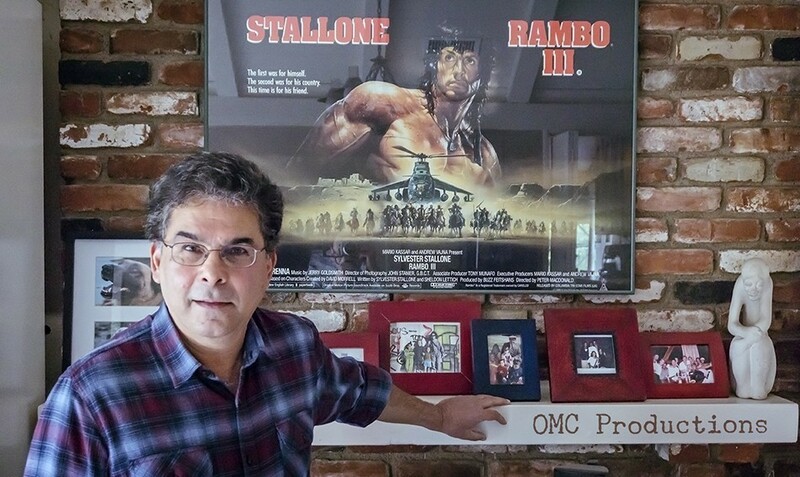 UAMC: From there, you went on to write Rambo III with Sylvester Stallone – how did that experience differ to your work on Bloodsport? 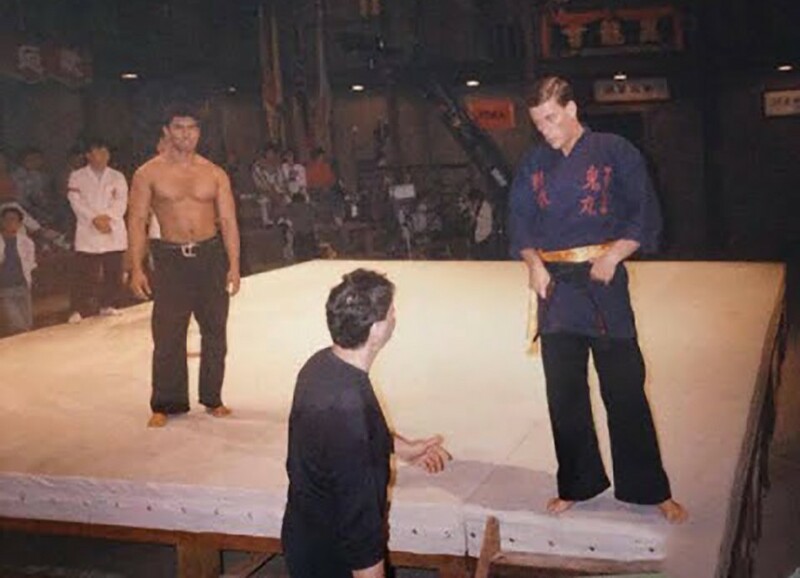 Sheldon: “Bloodsport” was an original screenplay, based in large part upon Frank Dux’s “recollections,” which I was hired to write by producer Mark DiSalle. The hard part for me was sorting through the clutter, deciding what to keep and what to throw away, and then structuring it into a coherent story that had a beginning, middle, and ending. I did this by deciding that the movie should be structured around the tournament itself. The story begins with the various fighters preparing to travel to the Kumite event, and next goes to them arriving at the venue. Then the tournament begins and we see the fights, the various winners, and losers, progressing towards the climatic fight that determines who will be the overall champion. The movie ends when the character named “Frank Dux” gets on a plane to go home. The tournament is over, and the movie is over. I don’t think there had ever been a movie before with a similar structure. Interspersed there was the story of how Frank Dux came to participate in the tournament, his previous training with Tanaka, his vow to bring honor to his Shidoshi, etc. Then for some additional jeopardy, I threw in the two government agents who were pursuing him, and for some spice I added the “love story” with the reporter. All of these stories are running concurrently with one another, and all are coming to a head near the end of the movie. The sub-plots with the agents and with the reporter were not recounted to me by Dux; I totally made those up. “Rambo 3,” on the other hand, was a sequel to a couple of very successful movies. “Rambo: First Blood, Part Two” was, in fact, the most successful box office hit of 1985, and Sylvester Stallone at the time was the number one box office star in the world. I felt very honored to be personally chosen by Stallone to co-write the screenplay with him. That said, the writing process itself was somewhat difficult. Because there was so much riding on this movie, so much in the way of expectation that it would be an equal or even bigger success than the previous Rambo movies, there was a lot of nervousness and indecision with both Stallone and the producers. I had pitched the idea to Stallone that the third Rambo movie should take place in Afghanistan, which at the time had devolved into the Soviet Union’s version of the Vietnam War. Stallone had the same idea. I came up with the idea of Rambo rejecting Trautman’s initial offer to help him on a mission in Afghanistan. Then Trautman gets captured by the Soviets, which leaves Rambo feeling like he lets his mentor down. So now Rambo’s mission becomes to rescue his mentor. This story was the basis of my first outline and the first few drafts I wrote. But then Stallone and the producers began to worry that Afghanistan was too much of a political hot potato, and also that the Soviets might pull out of Afghanistan before the movie was released (which actually did end up happening). So for a while, I ended up writing a couple of alternate versions, one of which took place in Siberia and entailed Rambo rescuing a downed American pilot before the Soviets can get their hands on him. UAMC: What are the key ingredients of a good Jean-Claude Van Damme movie in terms of plot, action, and character? Sheldon: Most Van Damme movies are basically structured like old Fred Astaire movies. Astaire’s movies employ a very simple plot (“I have to convince her to marry me before she can marry that rich guy who doesn’t really love her”) which Astaire uses to hang his dance numbers on. Similarly, in Van Damme movies there’s a simple plot (“They killed our parents, we must get revenge”) which we can then hang a number of fight scenes on. In an Astaire movie, it all leads to the big crucial dance number at the end (where he wins over the girl). In a Van Damme movie, it all leads to the big fight at the end (where he kills the guys who murdered his parents). UAMC: Lionheart (AWOL) is about to get a sequel. How was working on that film different from some of Van Damme’s other projects? Sheldon: First of all, Van Damme told me just a few weeks ago that the sequel is not happening. What was different about “Lionheart” was that we tried to structure it so that it did not follow the usual template for action movies which were being made at that time. For example, Lyon doesn’t track down and wreak vengeance on the guys who killed his brother at the beginning of the film. And then his nemesis for the final fight is someone neither he nor the audience has met before. There’s no personal tie-in to anything that transpired earlier. Attila is not one the guys who killed his brother; he had nothing to do with it whatsoever. That was a pretty radical departure from the storylines that the typical action movies were following in the 80’s and 90’s. 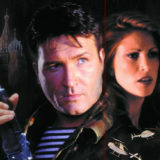 “Lionheart” broke some cardinal rules, and yet it still worked; audiences still loved it, and they still love it today. UAMC: Do you think Van Damme gets enough credit for his acting abilities? What’s your secret for getting a good performance out of him? Sheldon: I got good performances out of Van Damme simply because I believed in him, and in his potential. And he knew that. I wasn’t treating him like a mere “karate guy” who could simply kick and punch but was otherwise unable to deliver an acting performance. UAMC: Steven Seagal has trashed JCVD a few times. Could Van Damme take him in a fight? Sheldon: I’ve met both of them in person, and I’ve watched Van Damme spar with some world-class fighters. I’m quite sure he could drop Seagal without too much effort. UAMC: Just how in shape was Van Damme on those films? UAMC: How did you first discover Mark Dacascos? Sheldon: Mark’s manager at the time, a woman named Cathryn Jaymes, heard I was getting ready to make another martial arts movie, and that we were looking for a leading actor (who was not going to be Van Damme). She called me, told me about Mark, and he drove over to my house and introduced himself. UAMC: Only the Strong disappointed at the box office but has enjoyed a cult following since and remains the only martial arts movie to showcase capoeira. Where did it go wrong for that movie? Sheldon: That same manager, Cathryn Jaymes, got Mark signed to do another movie almost immediately after we shot “Only The Strong,” which was to be based on the video game “Double Dragon.” That film was a disastrous train-wreck, running way over budget with a schedule that was completely out of control. On top of that, it ended up being a terrible movie and a flop at the box office. 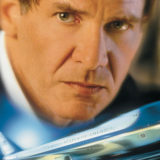 The reason I mention that movie is that Mark was stuck on it for weeks and weeks beyond their scheduled completion date, and was therefore unable to do any promotion for ‘Only The Strong.” Which was a pity, because the movie went through the roof when 20th Century Fox tested it with a live audience. As I recall, the number of people in the audience who rated it either Very Good or Excellent was around 98%. 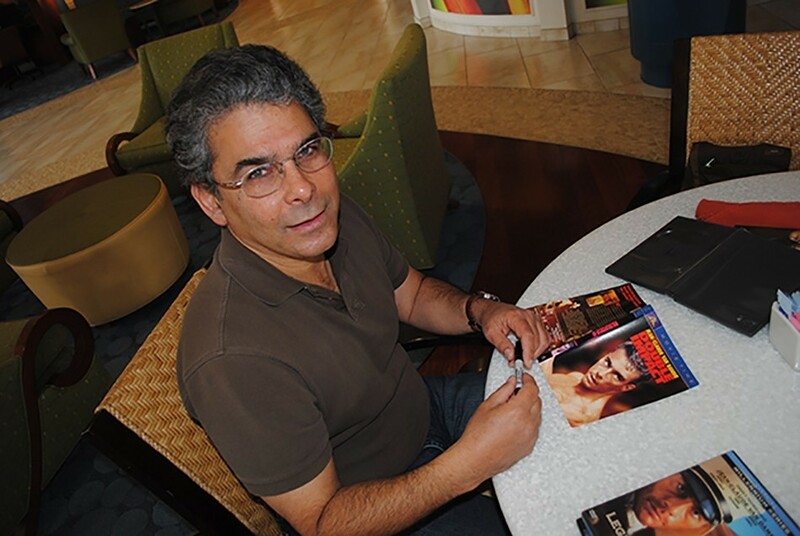 As a result, the Fox executives were very high on the movie, and they had scheduled me, Mark, and Paco Prieto for a three-week promotional tour, in 12 cities across the USA. But Mark was inextricably stuck on “Double Dragon,” so the tour had to be postponed. And postponed again. Eventually, the tour had to be cancelled altogether, and this was all because of Cathryn’s misguided decision to stick Mark on this terrible train-wreck of a movie before “Only The Strong” had even been released. 20th Century Fox was looking to turn Mark Dacascos into a movie star, headlining studio films for them. 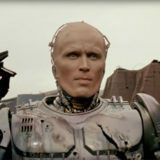 Apparently, Rupert Murdoch himself had been impressed enough with Mark’s screen tests to envision him as a replacement for the recently deceased Brandon Lee (who had starred in “Rapid Fire” for Fox). But because there had been no advance promotion for the film, with a new star who nobody had ever heard of before, Fox dropped the ball when it came time to actually put the film in theaters. Had Fox been able to promote the film the way they’d originally wanted to, then I think we would have had a far bigger opening and a far more successful run at the US box office. 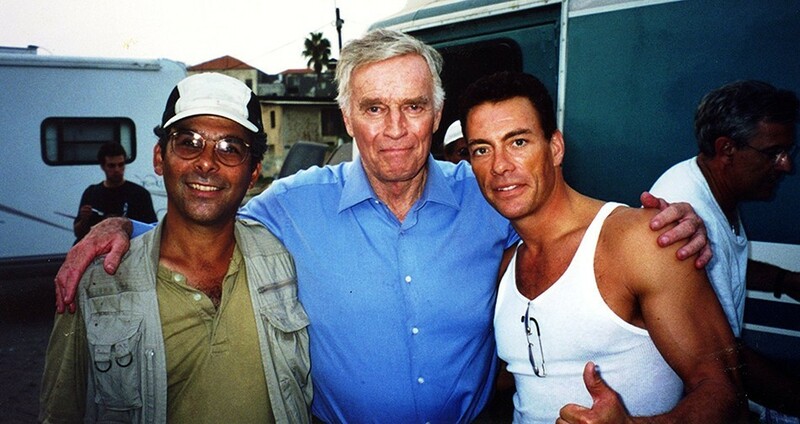 And Mark Dacascos might have become as well-known as Van Damme and Seagal. 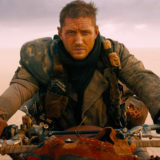 UAMC: How have action movies changed since the days of Bloodsport and Double Impact? Sheldon: A lot more CGI, a lot more stunt doubling, and quicker cuts (so you can’t see the stunt doubles). UAMC: What’s the one project you’ve turned down and ended up regretting not working on? 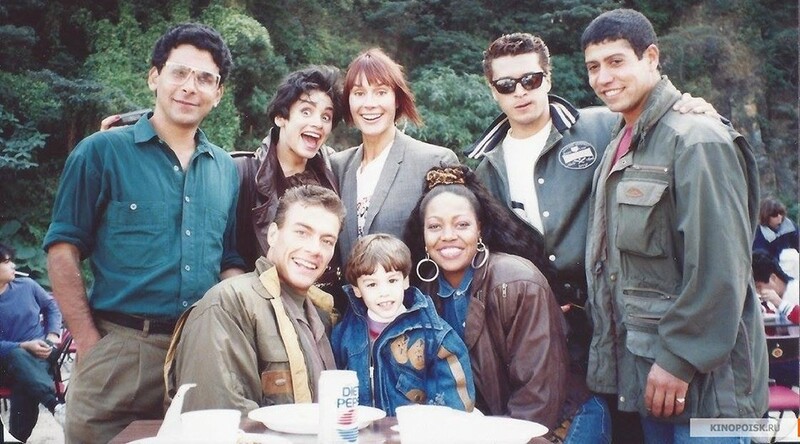 Sheldon: The “Hercules” TV series. Sam Raimi offered me the pilot. UAMC: If you could go back and change one thing from your career to date, what would it be and why? Sheldon: I would have taken that “Hercules” pilot and directed a few episodes afterward. That would have given me an entree into TV directing, which would have been a great way to keep my directing skills sharp between feature films. To this very day, I would still have been collecting residuals from that show. Keep up to date with Sheldon Lettich via his official Facebook page. Next story Rambo First Blood Part II is the Ultimate Action Movie. Period!